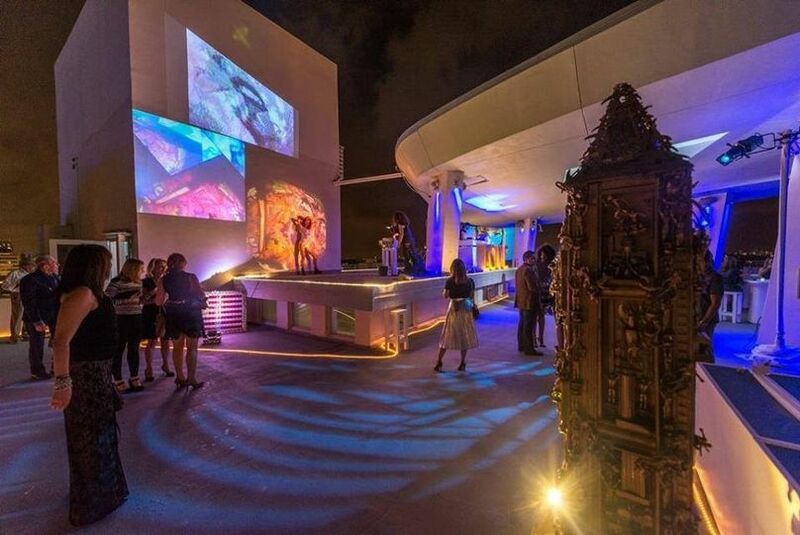 SKYDECK Rooftop Miami is a unique luxury wedding venue in Miami Beach, Florida. 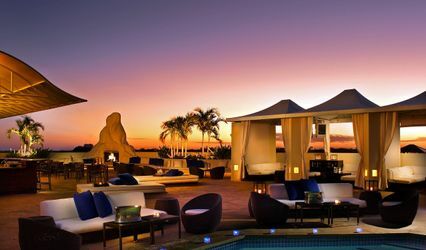 As a private rooftop, it is one of the highest points on Lincoln Road, offering spectacular views all around. Here, couples will feel as if they are on a private yacht. 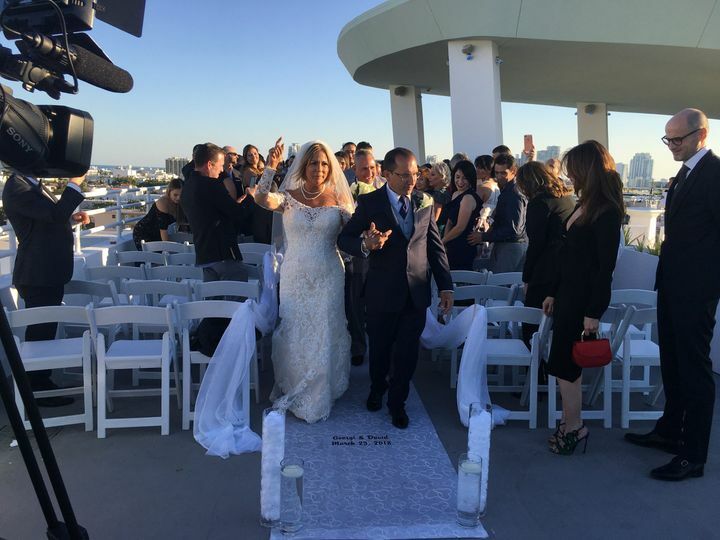 For couples looking for a modern and private location for their vows, SKYDECK Rooftop Miami is the place. 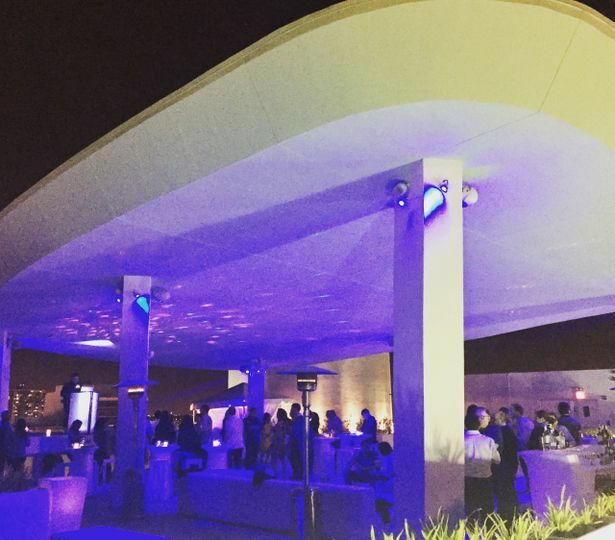 SKYDECK Rooftop Miami has 3,700 square feet available. Couples may host up to 249 guests. Couples will receive exclusive venue use, even for the rehearsal dinner. Entirely outside, couples can choose covered or uncovered. 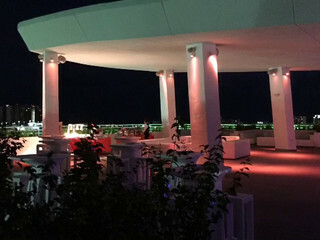 With 360-degree views of South Beach, couples and guests will see all of the entertainment district lighting up the night. Couples may host their ceremony and reception at the venue. 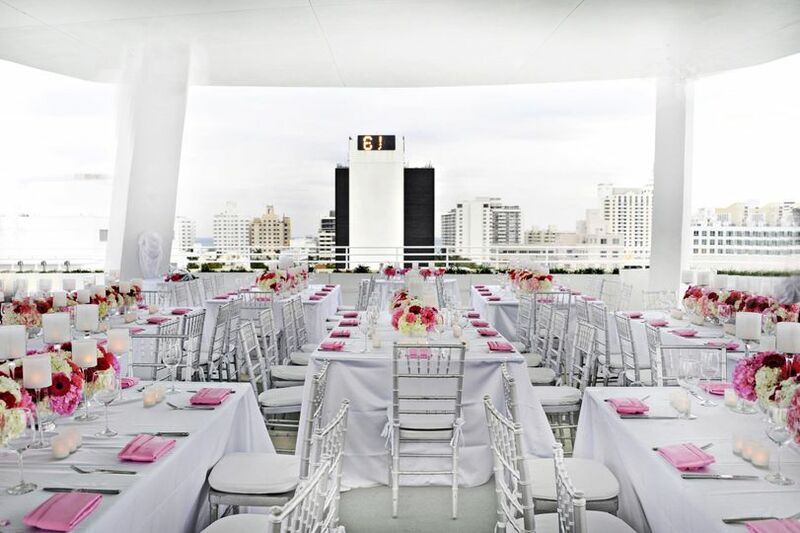 In addition to wedding-day services, couples may host their bridal shower, engagement party, or rehearsal dinner at SKYDECK Rooftop Miami. 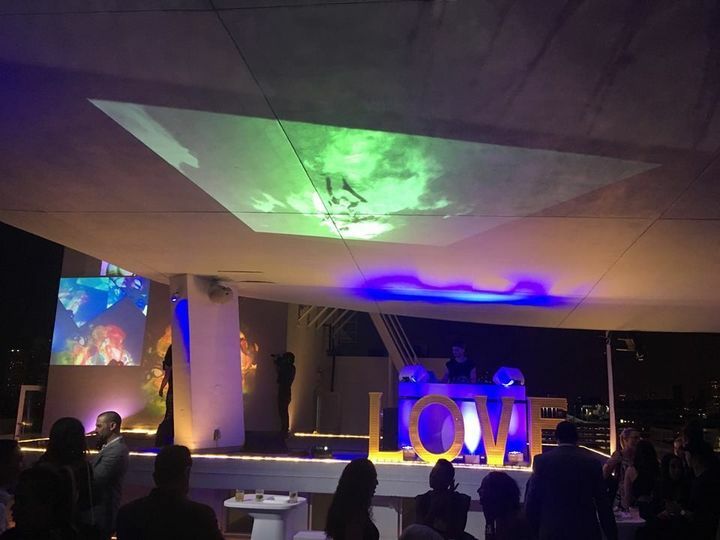 Event rental items include audio equipment, a dance floor, furniture, and lighting. We had our reception on Skydeck on April. 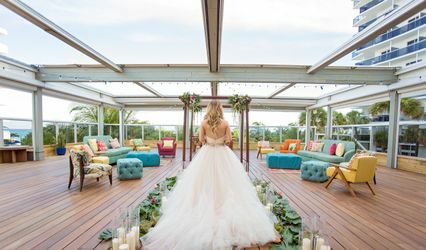 My husband and I truly believe Skydeck is the most unique wedding venue in Miami Beach. It is so different than what we have seen before! 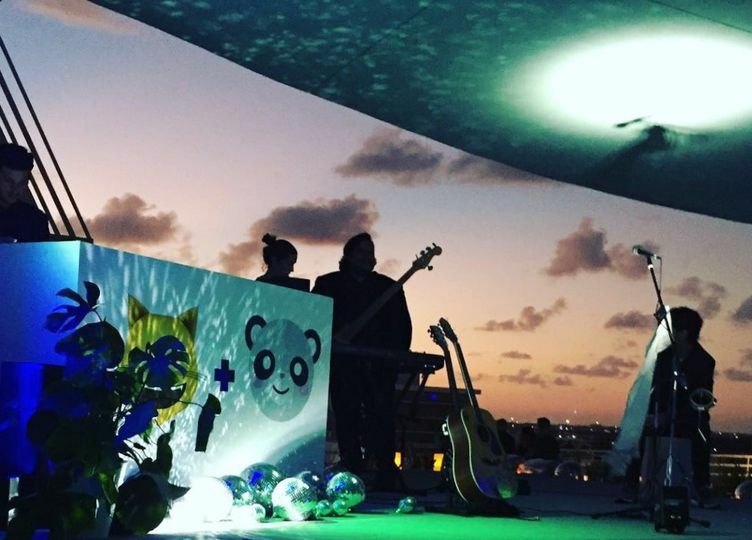 We had a beautiful sunset, and all our guests were delighted by the beautiful panoramic views. 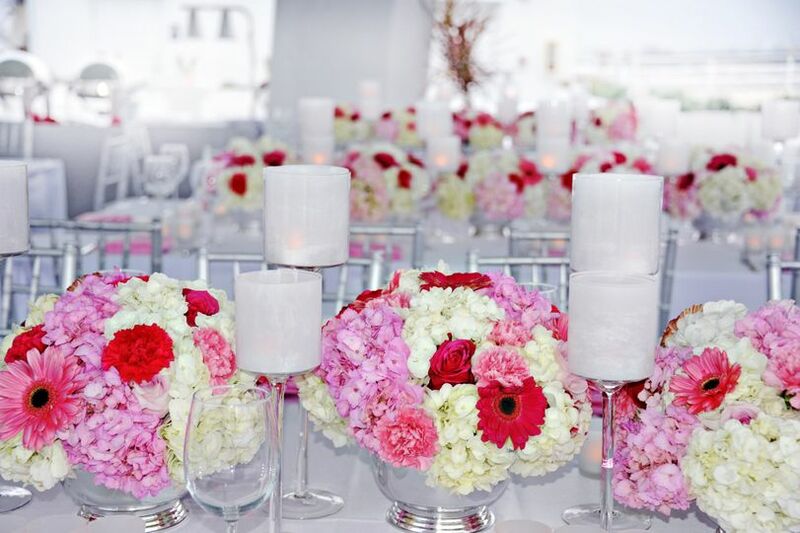 Stephanie, the event manager has been very professional and she helped us with the caterer, the DJ and the decor. She understood what we wanted, and she went beyond our expectations. She organized everything and everything ran so smoothly. Skydeck is absolutely amazing! 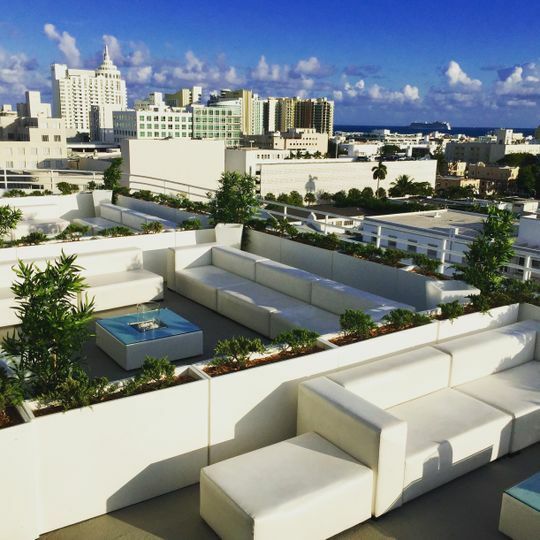 The rooftop is beautiful, and we truly experience a 360 degree view over Miami Beach. Stephanie was so easy to work with. 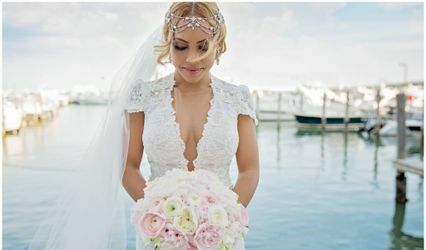 She helped me with everything and she truly made our wedding experience unforgettable.The vendors she recommended us were very professional. The food was delicious and the decor was absolutely beautiful! Our friends and family had a lot of fun. 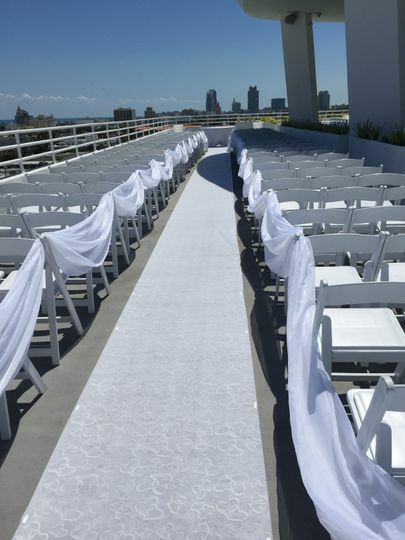 I would highly recommmend Skydeck for your wedding or for birthday! Our wedding day was unforgettable. Thank you! Stephanie was so easy to work with. She helped me with everything and she truly made our wedding experience unforgettable. The vendors she recommended us were very professional. The food was delicious and the décor was absolutely beautiful! Our friends and family had a lot of fun. I would highly recommend Skydeck for your wedding or for birthday! Our wedding day was unforgettable. Thank you!